Growing up in the suburbs of Chicago, naturally he was introduced to many traders working at the Chicago Board of Trade. Even his best friend’s father had a seat on the floor and brought them downtown to experience the #traderlifestyle. It was so exciting even though he didn’t have a single clue why people were running around with slips of paper he was immediately sold. Just buy and sell, that’s it? Easy peasy. The first taste of trading came at a young age when he would invest in and trade sports cards. Watching NBA Leaguepass nightly trying to spot potential talent led him to go out and try to find the best rookie cards of the most exciting players before everyone took notice. The excitement of buying a Kobe Bryant Topps Chrome RC for $10 before it skyrocketed to over $400 in less then a year was a small taste of the potential rewards that could come from card collecting!! That continued for a few years leading him into a different world.. a world that was similar to, yet so different from day trading. His introduction to trading equities was buying BAC in the recession and selling it for a couple hundred dollars. Easy, right? Not so fast. After reading iHub message boards he quickly and frantically bought a penny stock destined for the moon. He had to be quick, worrying it would leave the stratosphere without him. After initiating the purchase, the stock immediately dropped quicker then his stomach, his account was diminishing by the second. What should he do now? Well, the simple answer was to baghold all that worthless paper until it went up. It’s cheap down here and only a matter of time until it skyrockets (common bagholder thought process). Week after week went by and he got fed up with holding the worthless paper and he ultimately decided to dump it for a -50% or so haircut. Next, was the promising and extremely liquid heavily promoted OTC market picks at the time. He suddenly had the idea that he could compound his hard earned Roth IRA into potential millions. After seeing numerous promoted OTC stocks go up hundreds of percents over and over again he couldn’t waste any more time. He decided to put his money where his mouth was and instead of visualizing the compounding his IRA into hundreds of percents over the course of the year, he would make it tangible. “Go big or go home” mentality resulted in him taking another huge haircut on a stock that everyone thought was going to be the next big promo. This time the loss ate into the lifelong savings of his IRA. This very bitter taste of holding overnight on the supposed promo that never came to be gave him fears of holding anything for a long period of time. 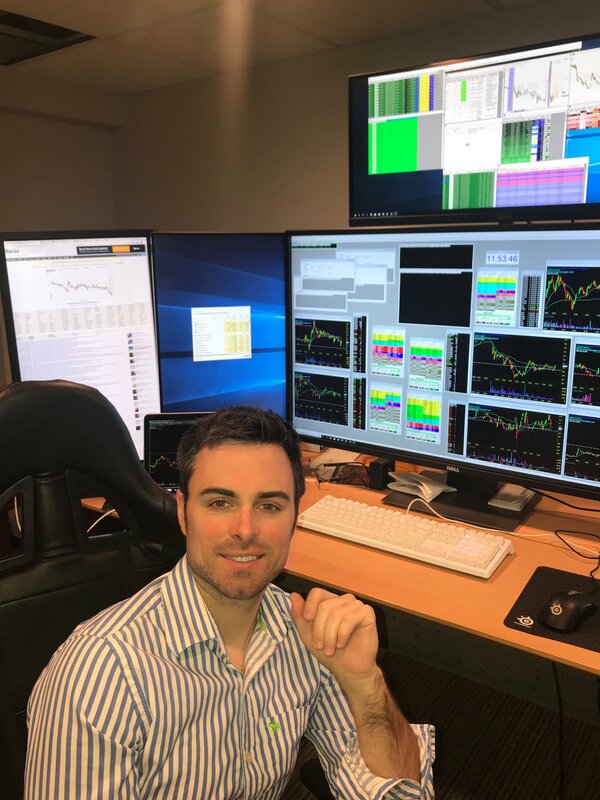 During this time he met Madaz who taught him how to tape read and bounce OTC stocks for a consistent way of making money. Realizing he didn’t have to hold for hundreds of percents to make money in market, this became a breath of fresh air. Scalping fit his personality best especially after the scars left from previous longer term holds. After nearly losing his retirement fund and calling it quits he stuck with his comfort level and didn’t try to hit constant home runs, but rather bat for base hits instead. This helped him make back losses and understand what he needed to focus on to take better probability trades in the market. An entrepreneur at heart, he left college not sure what he wanted to focus on. He did realize he didn’t want to incur any more school debt so leaving was a no-brainer. Eventually he started a low overhead business. That business helped pay the bills which led to trading part time and trying to find his niche. Trading isn’t an overnight success, it’s hard work over a long period of time trying to fine tune and remain consistent. Rob has learned greed destroys and to always be content with what God provides.